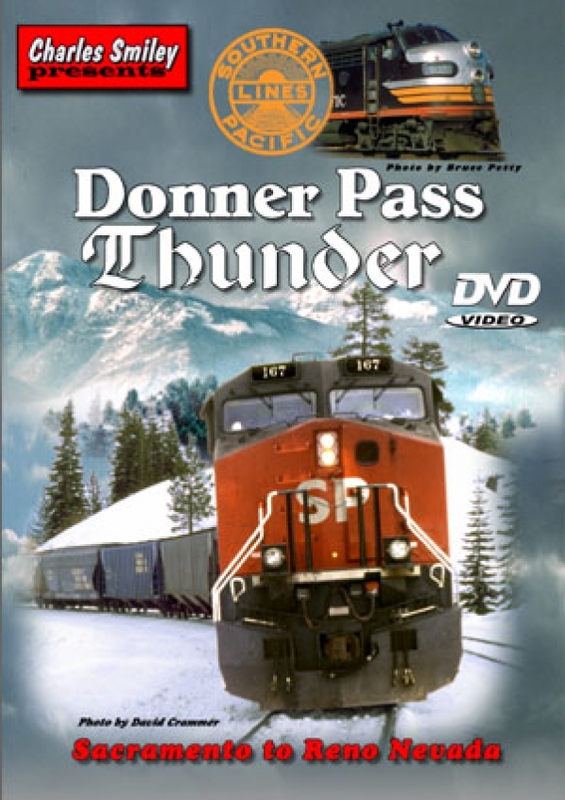 Locations: Overland Route, Sacramento, Roseville, Colfax, Truckee..
Charles Smiley interweaves the past and present in Donner Pass Thunder. His unique style gives a complete overview of the Overland Route. From Central Pacific origins, to modern 1990’s action, viewers will get an education from this program. An interesting collection of film augments the stories. A comprehensive overview of SP via Donner Pass. This presentation could easily be a PBS show. A balanced mixture of: film, photographs. and historical pieces, do make for an intriguing visit to the route. A variety of background music is very well done. The musical background nearly becomes an additional character of it’s own. 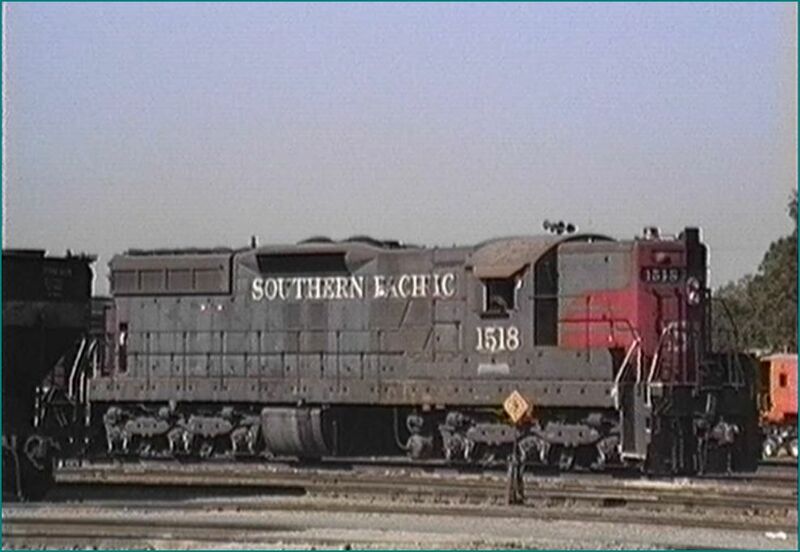 Southern Pacific is the featured railroad. 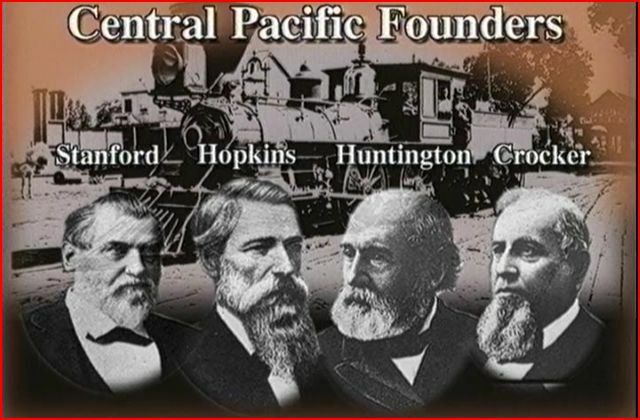 Central Pacific provides the important early history. 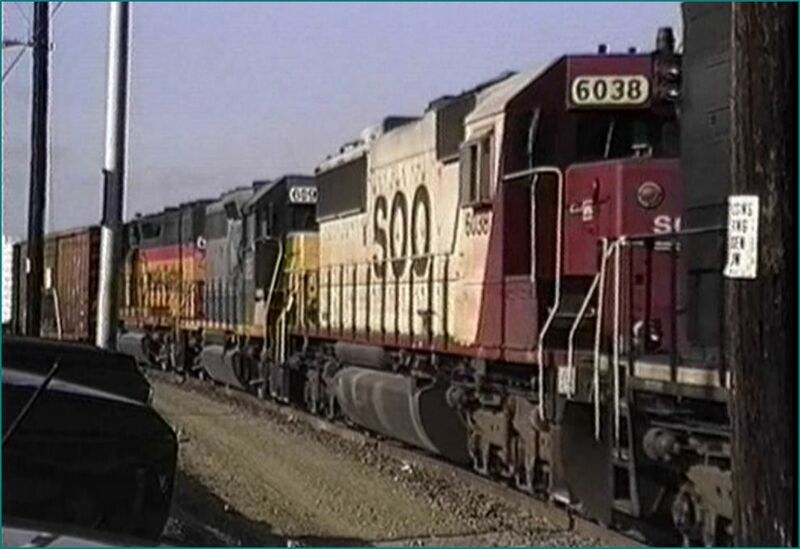 Union Pacific and Rio Grande are included, within the scope of contemporary operations. 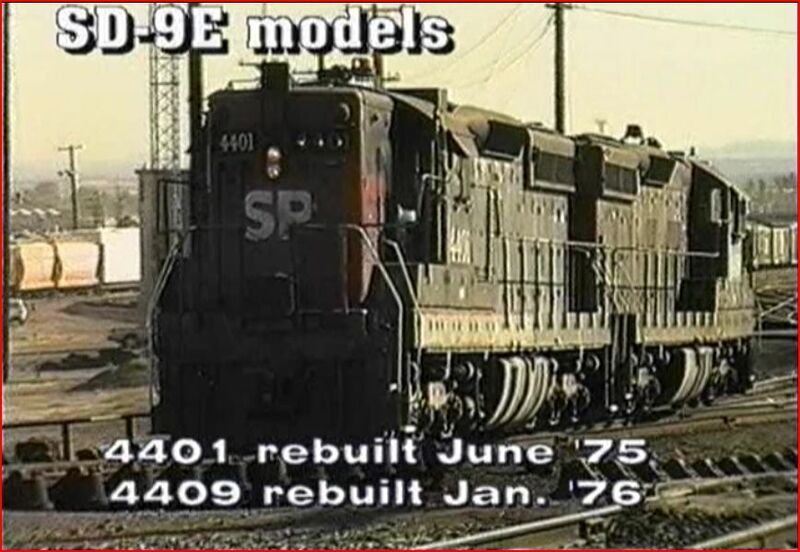 Amtrak is shown, in modern and early form. There is also a wide array of foreign diesel power, on run through trains. BNSF trackage rights provide even more variety. 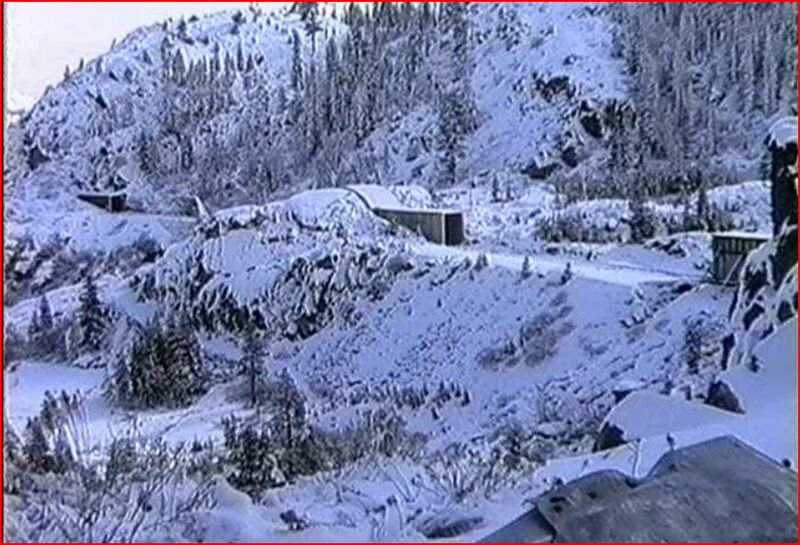 Feather River Canyon on Western Pacific, as well. Charles Smiley is a gifted narrator. In this show, he travels between past and present. 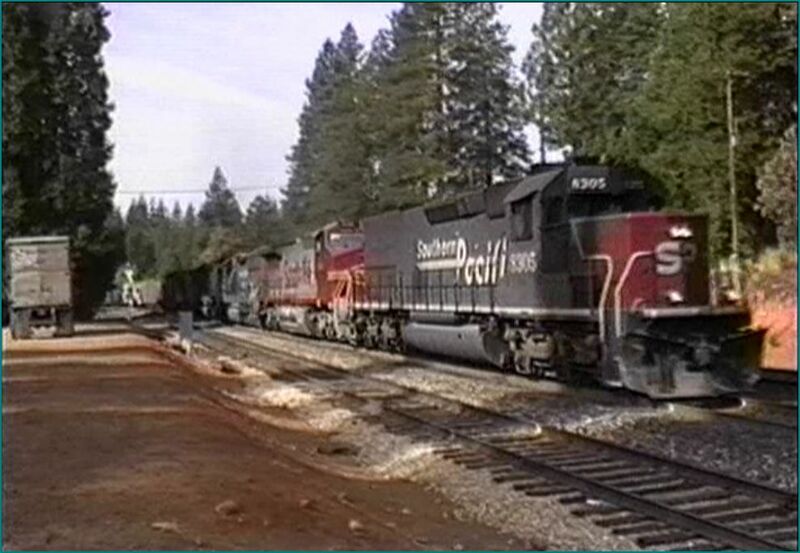 This method, plus an educational theme, gives viewers a meaningful class on Donner Pass. Additionally, a goldmine of history, interpolating California, United States and more! An extremely consistent producer, all of the Charles Smiley Presents shows, are very high quality. He is very dedicated, to giving people the best show possible. Sacramento is a key city to the early transcontinental railroad. It continues to promote it’s historical background. The city is both featured at the beginning, and referenced during the show. Sacramento shops, rebuilds, operations and museum activities, are reviewed. Four businessmen that formed the Central Pacific are discussed. The original land surveyor for the railroad: T. Judah, contains his vision and agenda regarding this route. Naturally, we want to see Donner Pass. After a foundation of background is accomplished, the emphasis shifts towards more action. The stories continue, as trains from different eras are seen. Passenger trains are an integral part of the traffic on the line. 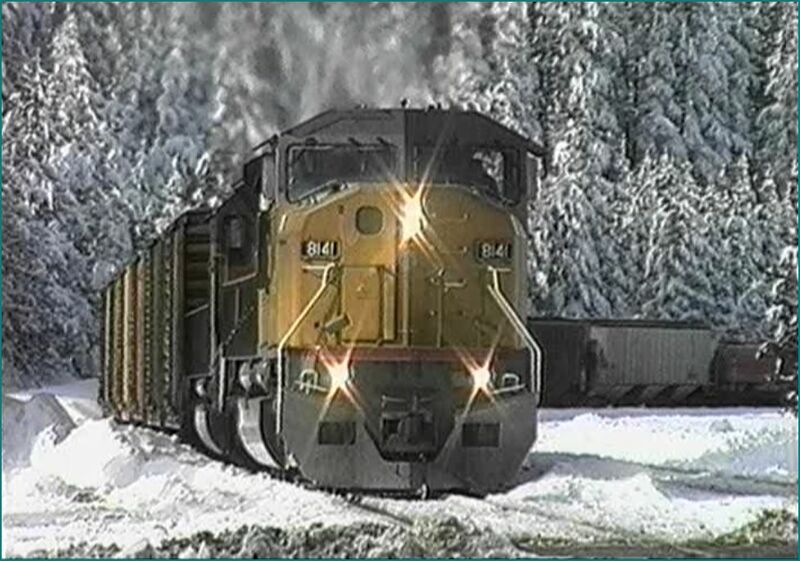 A fascinating 1971 Amtrak visit by Robert Morris, has beautiful film shot during and after a snowstorm. 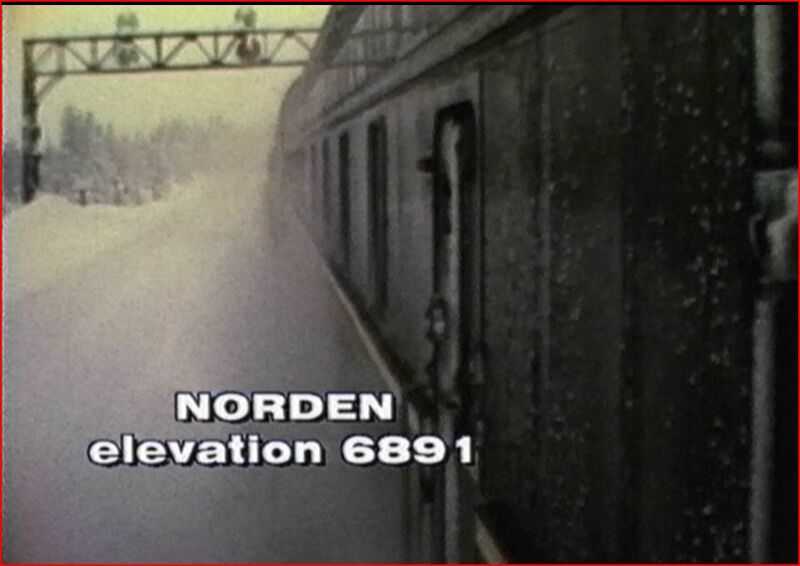 The cameraman was onboard the train and shot the film outside- freezing in the process.This chapter is worth the price of admission. Custom-made maps,and there are many, are one of the value extras in each of his productions. 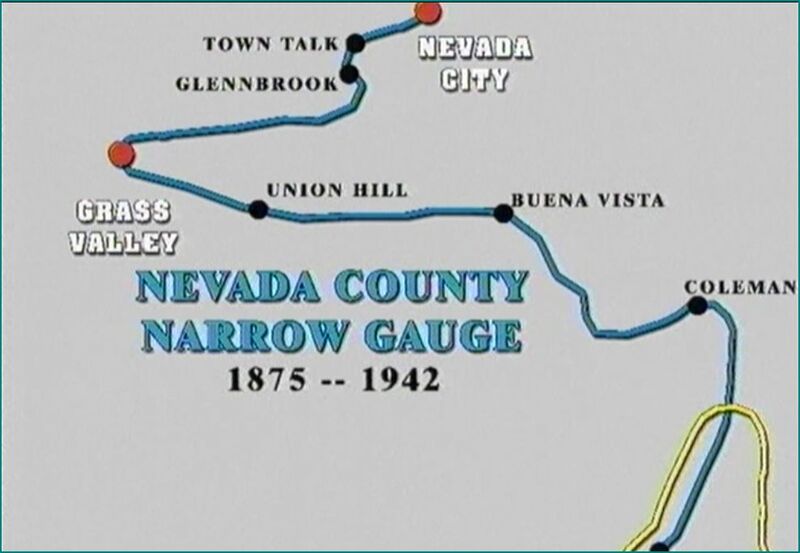 Nevada County Narrow Gauge was a surprise! 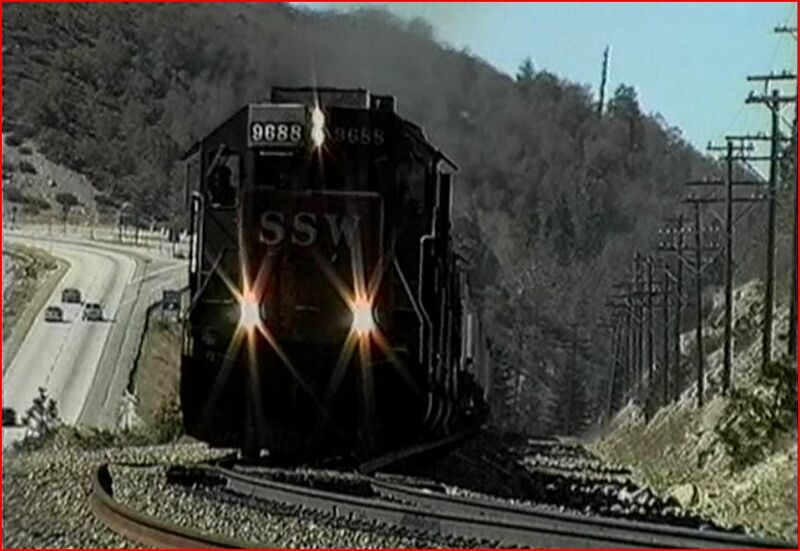 Freight trains pay the bills. A cornucopia of trains keep the interest level high. Many assorted liveries, adorn the foreign power that operates in the contemporary era. 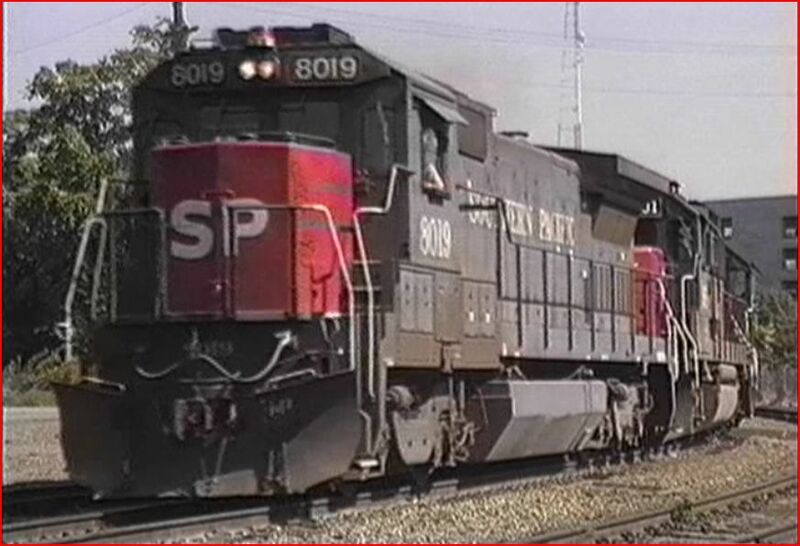 Vintage SP locomotives are a must see here. Fine shots that are great for modellers. 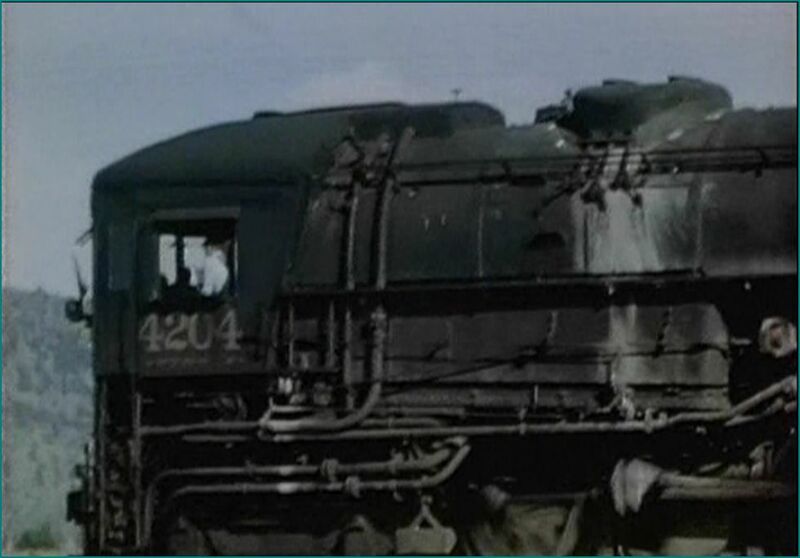 Modern SP diesels are a contrast to earlier locomotives. Steam is what everyone needs to see. 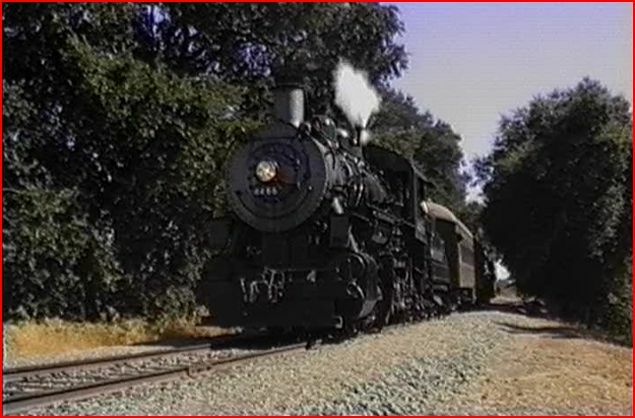 This 1947 sequence paces a cab forward! 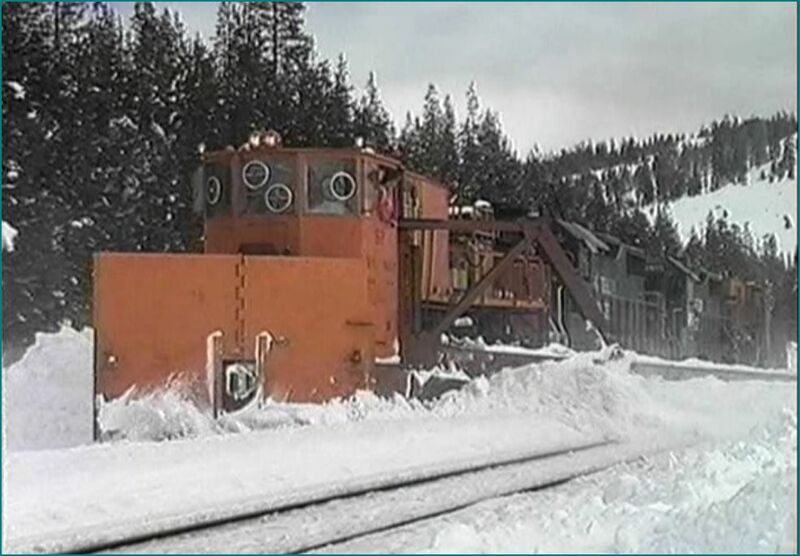 Along with mountains of ‘Sierra Cement”, snow removal is important to keep the line open. 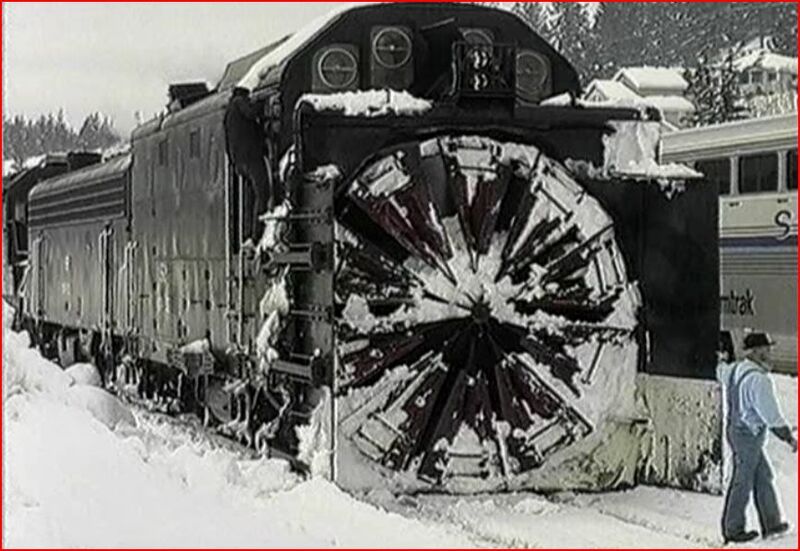 The customized ‘Snow Service’, GP38’s are given a detailed look. Miles and miles of snowsheds, were once a dominant set of line structures. Before you know it, the program is nearing it’s conclusion. The sheer volume of information is almost too much to absorb in a single session. This bodes well for enjoyable repeat viewings. 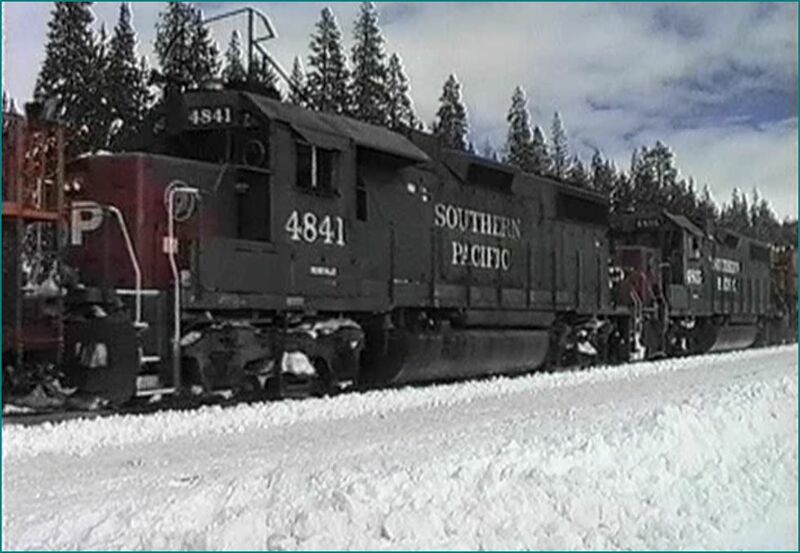 Charles Smiley has an ‘all in one’ overview of Donner Pass. This single show does give the biggest bang for the buck, as far as having everything in one place. A great starter for those new to Donner Pass. Icing on the cake, for those with other Donner Pass videos. Donner Pass Thunder will satisfy any railfan and/ or modeller. It is a very family friendly show. Even the ladies will like this one!